A decade after a seamless transition from Classic-winning trainer to semi-retired bloodstock advisor, Frank Brothers continues to enjoy the Thoroughbred industry. Called “Frankie” by all who know him, his name is forever linked with a long list of high-profile runners topped by Preakness and Belmont winner and 1991 champion Hansel and 1997 Blue Grass Stakes winner and breed-shaping stallion Pulpit. Brothers keeps a much lower profile now as a member of Keeneland's yearling inspection team and as a seasonal bloodstock advisor for Starlight Racing. Brothers assists Starlight Racing with selecting prospects at high-end yearling sales and making a few visits to see their acquisitions' progression in Florida. Starlight Racing principal Jack Wolf consults with Brothers throughout the year on an as-needed basis. Away from his bloodstock work, Brothers lives the laid-back lifestyle of a retiree, spending time at the gym and with his dogs without a stringent schedule. He and his wife Donna, the former jockey now serving as mounted television commentator for NBC, reside in Louisville and recently purchased a secondary home in Saratoga Springs, N.Y. 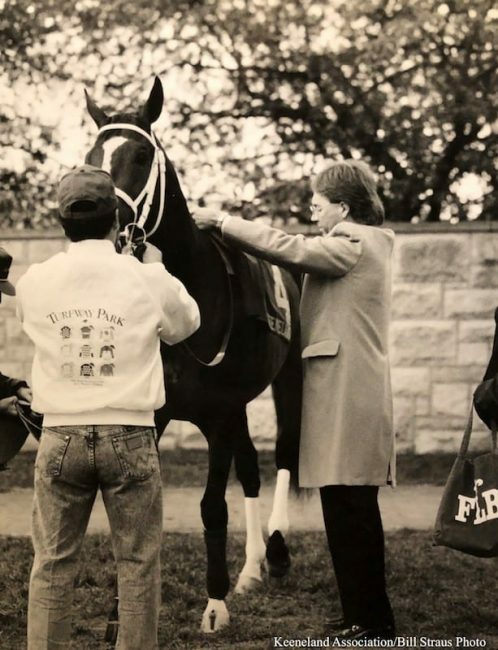 In his training career that began in 1974, Brothers compiled more than 2,300 winners from 10,000-plus starters and a robust roster of top tier runners. In addition to the aforementioned Hansel and Pulpit, Brothers' graded stakes winners also include First Samurai, Madcap Escapade, Arch, Dansil, Secret Hello and Auto Dial. Brothers' love of horses and racing began while growing up in New Orleans where he had a Quarter Horse and competed in Western-style shows. He regularly attended the races with his family at Fair Grounds and eventually obtained an entry-level job at his home track with legendary trainer Jack Van Berg. At the track, Brothers learned to exercise Thoroughbreds and developed a powerful work ethic alongside such co-workers as eventual trainers Bill Mott and Wayne Catalano. He stayed with the stable for 10 years and never took another job until he obtained his own trainer's license. “If you worked hard and paid attention you could learn and Jack would give you a chance,” he said. After making a name for himself as a trainer for various clients, Brothers took a semi-private role with Joe Albritton's Lazy Lane Farms. Under the format, Brothers trained primarily for Albritton but was permitted to have a select few runners for others. Their success together included Hansel before Brothers became semi-private trainer for Claiborne Farm, which campaigned Pulpit. When Claiborne downsized its racing division in 2001, Brothers and Albritton joined forces again. By 2009, Brothers was no longer under contract and knew that it would be difficult to sustain a successful stable without large numbers or a high-number client, so he opted to walk away from the racetrack life he loved. Secure in every way with his decision, Brothers kept an open mind about accepting advisory roles without actively searching. 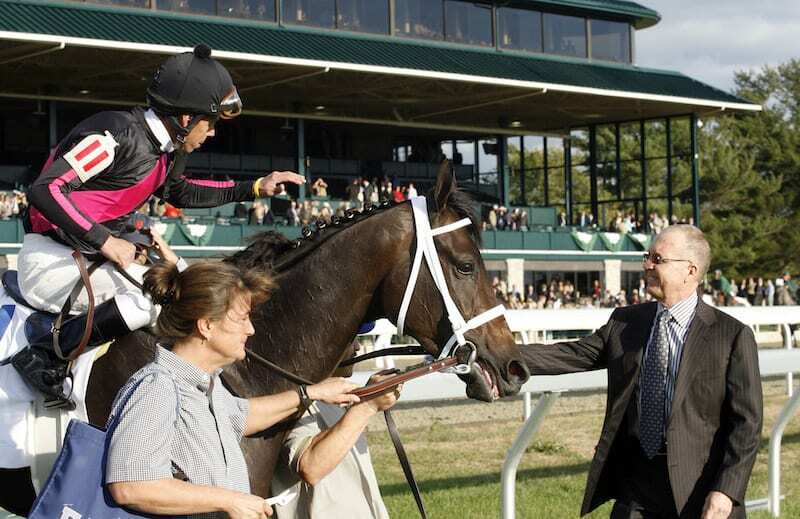 The Keeneland and Starlight Racing positions proved to be a perfect balance. 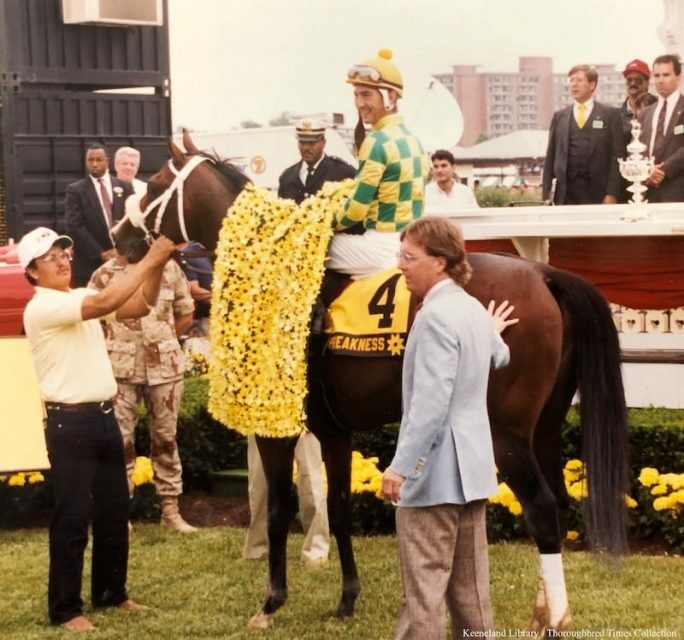 Of all his accomplishments, Brothers is perhaps most proud of being the first Thoroughbred trainer inducted into the Louisiana Sports Hall of Fame in 2014. This entry was posted in Lost And Found, NL Article, People and tagged Donna Barton Brothers, frank brothers, jack van berg, Keeneland, Lost And Found, Starlight Racing by Liane Crossley. Bookmark the permalink.